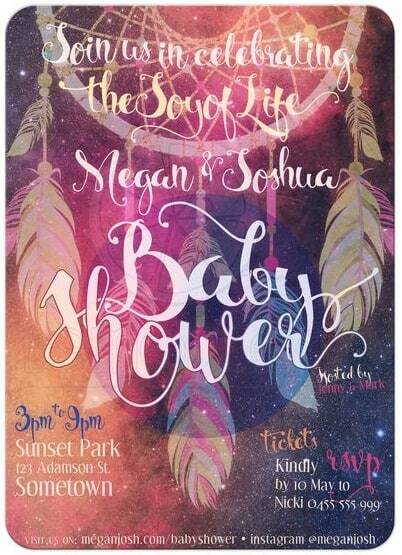 Designed for the Bohemian mama – the ex festivalist (only because of making babies!) Yoga activist, Vegetarian, Green smoothie lover – oh did someone say Mason Jars?! 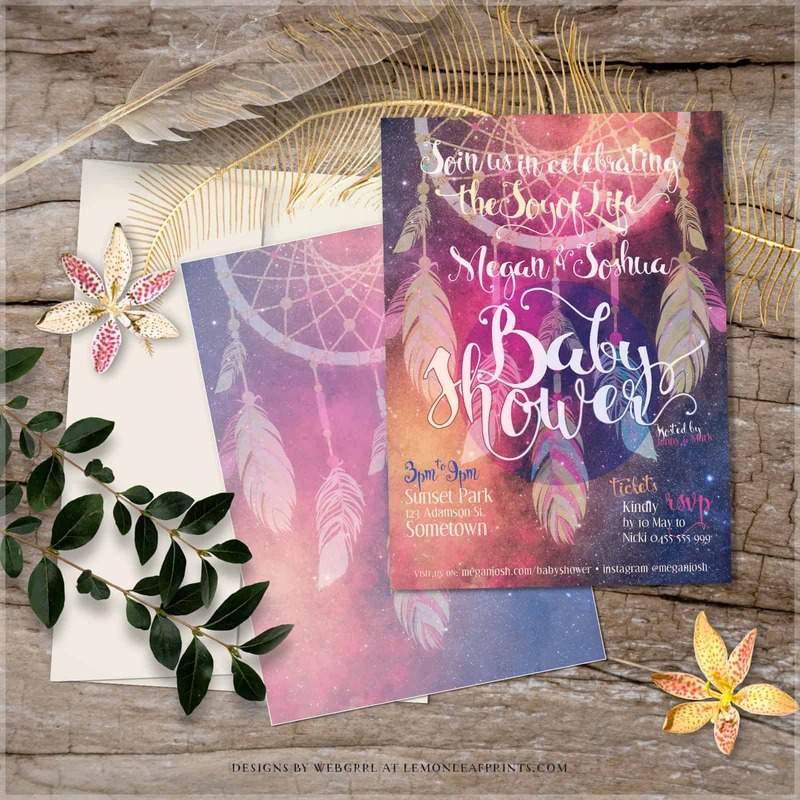 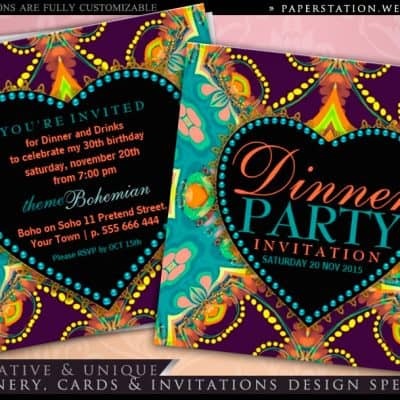 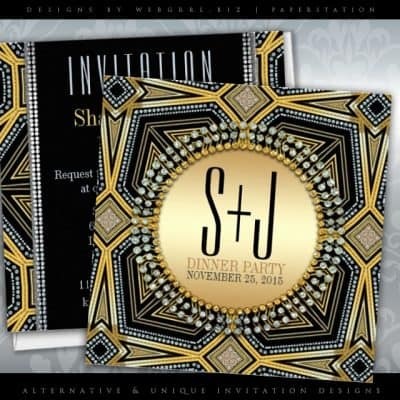 Earth mama Baby Shower invitations to suit all the quirky style that you like and then some more.. 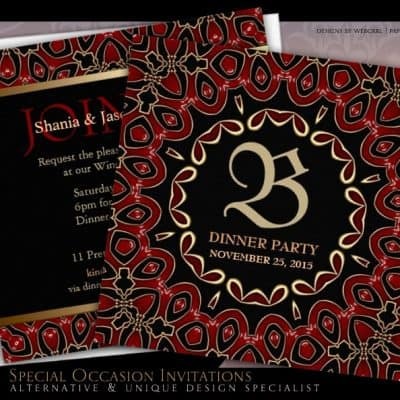 Similar to the other dreamcatcher invitations i have made – this one with a much more whimsical style using this hand lettered brush script typeface.